Thanks to the USGBC's strong focus on market transformation, policy advancement and local advocacy, we are able to access country- and state-level green-building data in real time. 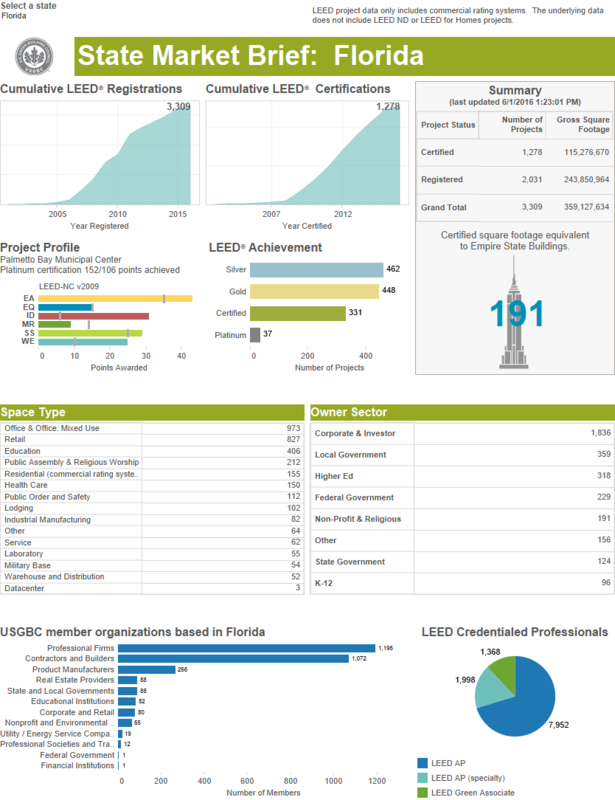 These Market Briefs are data visualization dashboards that provide a quick look at LEED and USGBC data specific to a Country or State -- check out Florida below. The visualizations can also be exported as pdf files to share with neighbors, friends, colleagues and elected officials. and LEED ND data in the future.